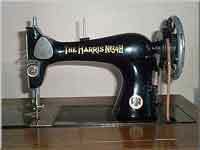 W. J. Harris was a company based in London which distributed sewing machines to retailers. 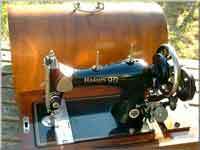 They did not produce any sewing machines on their own account, but 'badged' machines made by many other makers with the Harris name. 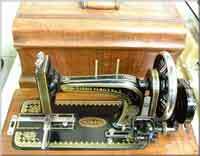 Harris sold machines from many makers in several countries, including the German Grimme Natalis, Stoewer, Frister & Rossmann and L.O. 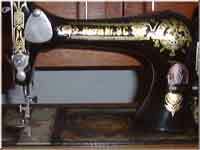 Dietrich companies, and the American New Home and National/Eldredge companies. 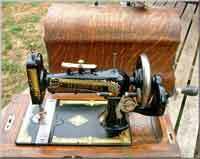 They also sold badged British Jones and Japanese machines. 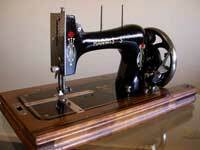 The company was founded in the 1870's and continued in the sewing machine business until at least 1960. 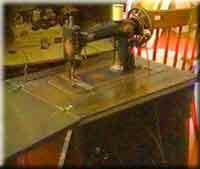 It is said that the current incarnation of the Harris company is 'Mothercare', a large British company of chain stores selling goods for babies and young children. 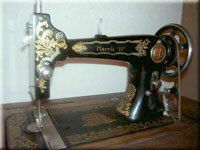 This page lists some of the model designations used by the Harris company and shows the actual makers of the machines where known. 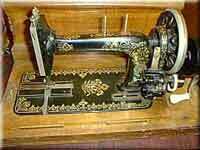 The list is not complete so expect new machines and information to be added from time to time.